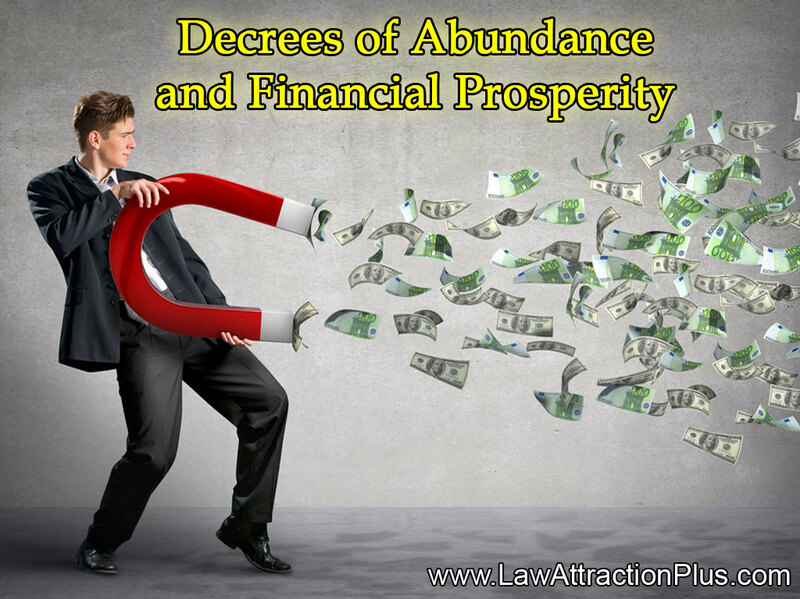 Decrees of Abundance and Financial Prosperity | Law of Attraction Plus: The Secret revealed! Make the following Abundance Decrees at least for 21 days in a row, three times a day (in the morning waking up, in the afternoon after lunch and at night before going to bed). These are metaphysical decrees powerful just by reading them, but you can increase their power (and that way you will attract money faster) if you read it aloud. Other powerful techniques of making these Positive Affirmations and Abundance Decrees is to write them down on a notebook, or reciting them looking into your eyes in front of a mirror. "I've decided to live in luxury, I'm a winner, I was born to triumph and to win. I am an entrepreneur and reclaim the part of the wealth that belongs to me. I am prosperous and rich. Money comes to me in an abundant way, copiously, permanently and effortlessly. I am ultra-millionaire, I am prosperous and rich, money flows in my life in an abundant way, copiously, permanently and effortlessly, money grows in my hands the same way trees grow in the country, everything I spend comes back to me multiplied, because I'm the source of all wealth, I am prosperous and rich, I am ultra-millionaire." Was this useful to you? Leave your comment! And follow our YouTube channel.